According to surveys, 74.4 % of customers expect a welcome email when they subscribe. Therefore companies send it. A primer opt-in process is the best way to add subscribers to your mailing list, but it’s not enough for having buyers engaged. We should train the newbies for our brand and encourage them to break the ice with their first purchases. You can be slightly surprised, but welcome emails generate 3 times higher open and click rates, and even 5 times higher revenue in comparison with other promotional emails. 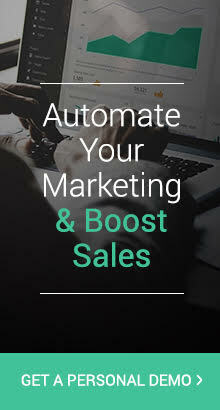 Such email automation is one of the easiest ways to take your marketing tactics to the next level. A welcome series of three emails in a row help to introduce you to your new customers, and encourage them to buy within a targeted period of time. These series of emails can be arranged via your email service provider. “Make an effort in order that first-time visitors become subscribers and then subscribers become buyers. The longer you wait the less chance you have of making these transitions possible.” – says Rytis Lauris, CEO of Omnisend (previously Soundest). But there’s one thing more important than welcome emails: having a solid email marketing automation strategy. Be sure to have that one covered first before moving on to welcome emails. So, how should I start? Make sure your email service provider has a technical ability for setting up the welcome series. The emails should be automated and logical. Customers that have already purchased after 1st letter shouldn’t receive the second email with the same offer. a.) Decide on what you want to say for a total newbie on your mailing list. What is the information, he/ she should know about your brand? Why are you different from your competitors? Positive reviews and quotes. Moreover, a special offer always works to boost the sales. Even so, keep the email shortly. b.) Create the subject line which differs from your regular emails. So the customer could easily distinguish it from other promotional emails. c.) Be personal and friendly. If you’re a small business, probably you don’t want to look corporate and stuffy. More about the voice tone read in my previous post. d.) Insert visuals. It depends on the structure of email you’ve chosen: it can be either your goods or welcoming image. e.) Encourage your customers to connect with you on social media. This way you will be able to contact them through the different channels and interact more. f.) Don’t forget a call-to-action button. New customers tend to click more. Take advantage of this. ‘Whitelist our email address’, etc. Revenue per Welcome email is 3x higher as per promotional one. Once you know what you want to say, think about proper timing for your emails. From our experience, welcome letters shouldn’t be much extended within the days. Ultimate timing for welcome series is a week. The first email is being sent immediately after signing up. The second – two days after, and the last one – six days after registration. Do not send too many emails as well as too often. Your new customers will unsubscribe you. In case, your sale cycle is longer than 48 hours (usually people think longer before buying expensive things like TVs, fridges, holiday trips, etc. ), you should consider a different cycle of series. Sometimes the last email can be sent even after the month. 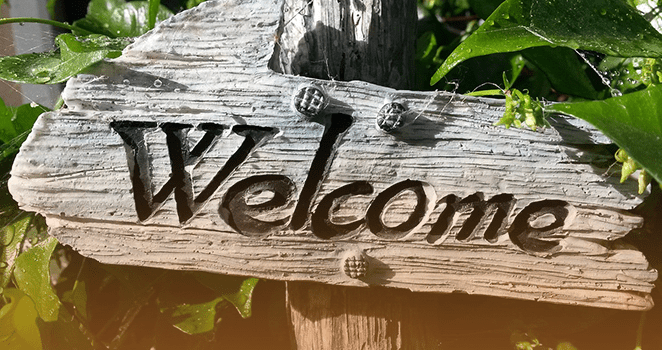 In addition, you should think how welcome emails fit among your regular promotional emails. A welcome series should lead the customer into your entire brand communication before getting all the rest bulk of emails. Be aware of it. Our client Monabello.com sells the accessories for smartphones and small electronic devices. 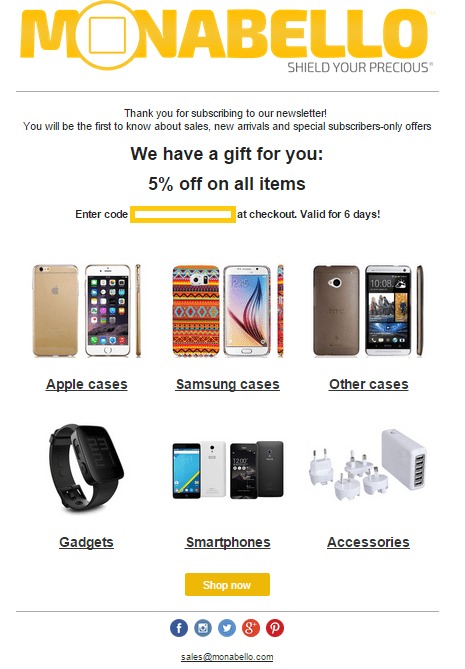 This store is using a few kinds of automated emails – welcome series and cart recovery. When Monabello.com started to use welcome series, the number of orders increased by 8% and 10.7% in revenue. Let’s look how this team does it. In the first email, a store welcomes a new customer aboard. 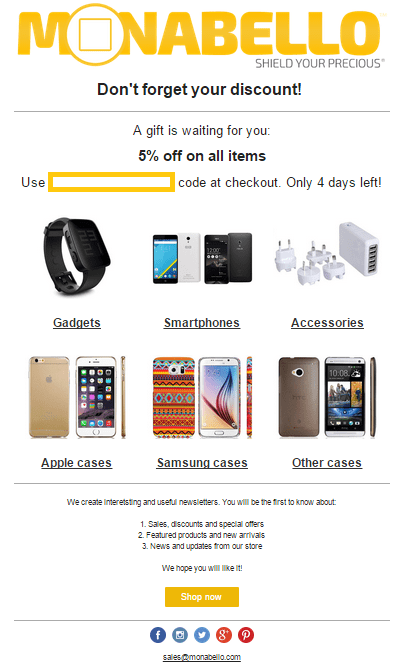 At the beginning of the email, there is a short introduction what to expect and a special offer to purchase. The email also corresponds to the structure of the store. In the end – a call-to-action button and social media. 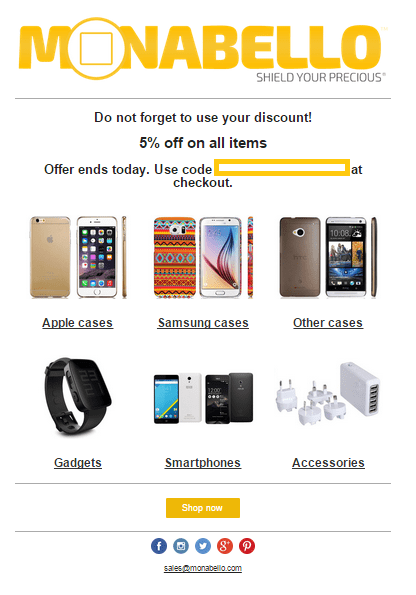 The second and the three emails go as reminders of the discount. The structure of the email remains the same. Only the offer days are melting and encouraging to shop. The 3rd email 6 days after signing up. Look for the top-notch welcome email ideas. Level up your business with email automation. Converting your subscribers into buyers with welcome series is one of the best ways to start with. Omnisend helps its clients to foster trust and establish relationships with their new customers. If you still have any doubts, there is a possibility to use ready-made welcomes series templates for the sake of your convenience. Learn more about automated welcome series.